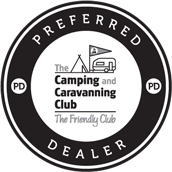 We have a selection of quality new and used motorhomes which are listed below. If you are looking for something in particular, browse our used and new motorhome categories above. Auto-Sleepers Dorset EL 2 Berth 9801 Miles 2010SOLD! Auto-Sleepers Executive 2 Berth 34145 Miles 2004SOLD! Autocruise Starburst 2 Berth 25938 Miles 2010SOLD! Auto-Sleepers Nuevo EK 2 Berth Delivery Miles 2019 ModelSOLD! Auto-Sleepers Corinium RB 4 Berth Delivery Miles 2019 ModelSOLD! Lunar Moonstar 580 4 Berth 30939 Miles 2007SOLD! Roller Team T-Line 590 4 Berth 11945 Miles 2015SOLD! Swift Mondial EL 3 Berth 27878 Miles 2011SOLD! Bessacarr E412 2 Berth 3867 Miles 2017SOLD! Bailey Approach 745 SE 4 Berth 8667 Miles 2013SOLD! Auto-Sleepers Warwick XL 2 Berth Delivery Miles 2019 ModelSOLD! Bailey Autograph 75-4 4 Berth Delivery Miles 2019 ModelSOLD! Auto-Sleepers Kemerton XL 2 Berth Delivery Miles 2019 ModelSOLD! McLouis Fusion 331 4 Berth Delivery Miles 2019 ModelSOLD! Swift Escape 622 2 Berth 11845 Miles 2015SOLD! Autocruise Select 164 3 Berth 3534 Miles 2017SOLD! Speak to us about the accessible ways to pay for your motorhome. Alternatively, click on the logo below to find out if you are eligible for motorhome finance.